Stella was curious. 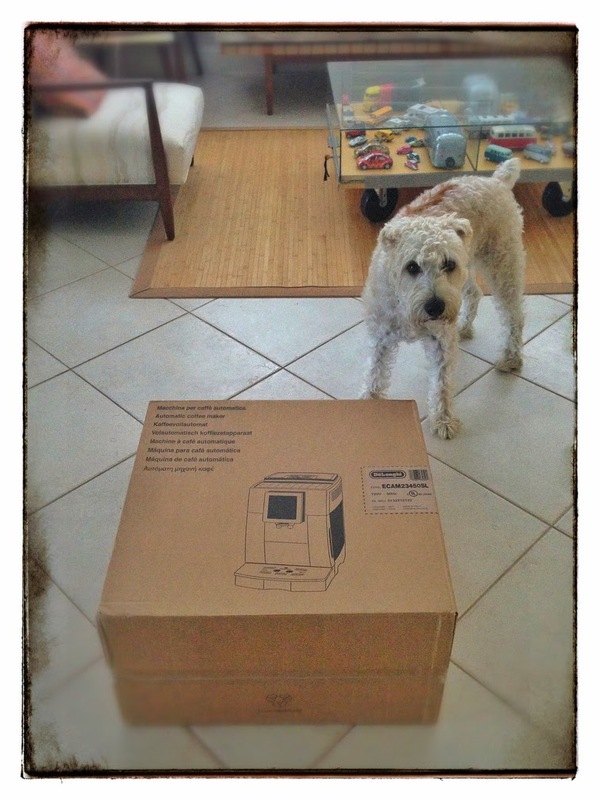 What's in the box & why am I so excited? Out with the old (right) & in with the new (left). 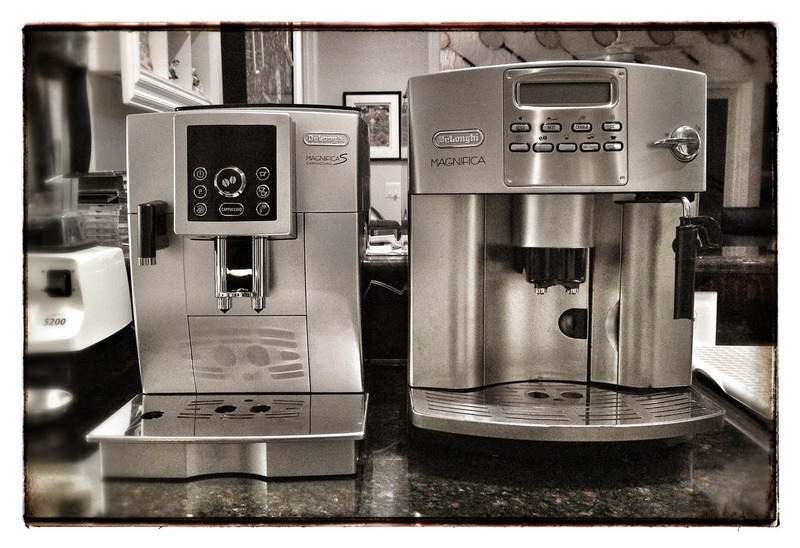 My new DeLonghi Magnifica is so awesome! It was time to retire my old one after a good 9-year run. Cappuccino anyone? All I have to do is push a button! No manual frothing! Crazy!